Water Heaters Only, Inc. has been specializing in water heater installation since 1968. We have nearly 50 years of experience installing residential and commercial water heaters. 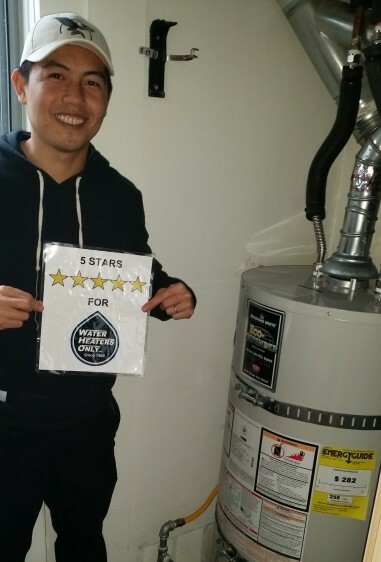 At Water Heaters Only, Inc we understand that a quick service and competitive pricing are important when thinking about installing a new water heater. We offer quick same day service, quality products and we will beat any competitors onsite bid for a similar quality product. These days most water heaters have a life expectancy of 8-12 years, once a water heater has failed, it will leak and stop producing hot water. Occasionally a water heater pilot light will go out or a part will malfunction. In these cases it might be possible for a water heater repair instead of having to replace the entire unit. Any water heater installation completed by Water Heaters Only, Inc is installed to the current local city code regulations. This is done to comply with the code and also for safety purposes. 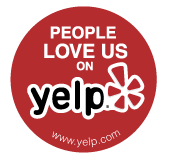 We will replace any necessary parts including; water flex lines, water shut off valves, gas flex lines, gas shut off valves, flue venting, temperature relief lines, drain pans, thermal expansion bottles and other components related to the water heater. For our California customers we will also properly earthquake strap and brace the water heater as required by the state code for earthquake safety. Additionally if you have a water heater with a re-circulation pump and line, we can check to ensure that the pump is working correctly and re-install the existing pump or replace the re-circulation pump if needed. If you are having water heater problems call 24 hours a day 1-866-946-7842 to speak with one of our water heater experts for help or to schedule an appointment for service.